Are you still handling product research, customer support, order fulfillment, and every other task for your dropshipping business yourself? Do you wish you could let go of these daily tasks, and focus on what you’re best at- growing your business? It’s common practice to do these tasks yourself if your business is just starting out. But if you process more than 10 orders per day and feel there’s really no time left to manage and grow your business–then it’s time to outsource. It is however, best to keep control of the lifeblood of your business like ad management, or any other core competency you have that drives your revenue and keeps you in business. Every other task is fair game. Next, you need to figure out which of these daily tasks you’d like to outsource. As an example, you can decide to hire experienced and skilled outsourced staff to help with your redundant daily tasks like order fulfillment, responding to comments, messages and emails, and general customer support requests including live chats. As your store continues to grow, and the volume of orders, support requests, and social interactions increase, you may also need to outsource your product research to add more products to your store. By figuring this out, you should significantly cut down your time spent on non-managerial tasks such as handling customer inquiries, writing product descriptions, and again, save yourself time. Whether your goal is to drive more sales, capture more emails, improve customer experience, or increase support productivity, adding live chat to your website is crucial. In today’s eCommerce space, the majority of customers won’t buy from you if you if your website does not have live support. 77% to be exact– and that’s not an insignificant number. So why not convert more web traffic into sales by setting up a live chat? The first step to accomplishing this would be to choose a live chat partner. Sure, you can choose to use a chat bot to “staff” support on the most basic level. But ideally you’ll can go a step further and give your customers a more satisfying human experience by hiring staff to handle your live chat. After all, don’t you want to do as much as you can to stand out from your competitors? 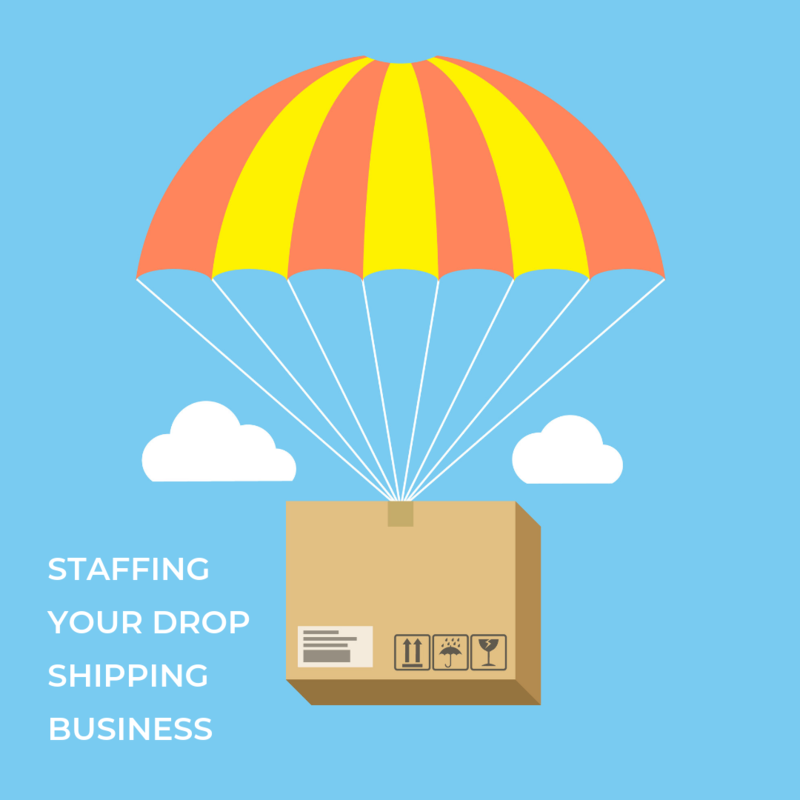 Whatever you decide to do, one thing is certain- combining the power of live chat and outsourced staff will allow you to scale your dropshipping business faster. Interested in trying out outsourced live chat for your dropshipping business? We’re more than happy to help. Just contact us today and we’ll see what we can do for you.